Interesting interview with Boullier on the subject of Kimi on the Sky F1 show. "When were you first aware that Red Bull were approaching him ?" EB: "He raised it once to me, and i understand his position but he was so straightfoward with me saying his favourite team, or his preference, would be to stay here"
"Were you surprised that Red Bull approached him ?" EB: "No, it makes sense"
"Do you think if you did finish second (in the WCC) and Kimi finished second in the championship it would be enough to persuade him to stay ?" EB: "No, i dont think so, its not this kind of ah..., this is not what he's looking for obviously, he is looking to win, so that would be....actually...not respecting his fulfillment....if you want...by not winning the championship because he's here to win the Championship and win races"
Marc Priestley was also on the show and he said the two biggest things on Kimi's mind were likely to be the huge changes in 2014 with regard to which team might produce the best car, but also..
"the other thing is that are still some very serious financial worries at the Lotus team and the owners of the team sold 35% of the company a few weeks back but as far as i know they're still to see any money from that, and thats a worry not just for Kimi, but for everyone at the team right now and thats something that will be playing a big role in the background"
Daniel Ricciardo will have no greater chance to prove he is ready for the step up to Red Bull than his afternoon of running with the team at Silverstone on Wednesday. He will be sat in the same car, and run at the same track, that Mark Webber scored a podium in a few weeks ago in the British Grand Prix. There is rarely such a golden opportunity for back-to-back analysis of performance. But even if he does a brilliant job in the RB9, Red Bull's chiefs are still going to have to do some number crunching to work out if the Australian is the man they need. For Red Bull is not a team that can afford to be swayed by personal preference, a hunch, or a beaming Australian smile. It is cold-hard statistics that will count for its verdict. With the fight for the vacant Red Bull now appearing to have distilled down to a fight between Ricciardo and Kimi Raikkonen, Red Bull's ultimate decision boils down to not just which man it thinks is the fastest, but which man it thinks will bring home the points it needs. A team's success in Formula 1 - both in sporting terms and commercially in terms of rights income - is wholly dependent on its finishing position in the constructors' championship. While a team can rely on one superstar to do carry its hopes in the drivers' title chase, it needs another quick man alongside him to deliver the points needed for the teams' battle. In each of the three constructors' titles that Red Bull has delivered since 2010, Webber's contribution was vital for it to take the team crown. Last year Webber brought home 179 points; in 2011 it was 258 points, while the year before that it was 242. Daniel Ricciardo F1 2013AUTOSPORT has learned that Red Bull's analysis points to a target for its second driver of 200 points â€“ something which it has no doubts that Raikkonen would deliver if he came on board. The real issue now is whether or not Ricciardo can be relied upon to do the same. That's not something that is going to be confirmed on the high-speed swoops of Silverstone this week. But a swift integration to the car and team, and some positive signals behind the steering wheel, may be enough to show that the numbers can add up. Although Raikkonen has been installed as the odds-on favourite to partner Sebastian Vettel next season, Ricciardo has been presented with a golden opportunity to stake his claim on Day Two of the Young Driver Test when he'll drive the RB9 for the first time. Red Bull are so keen to take a close look at the youngster that they have dropped Webber from their previously-announced schedule after determining that it would have been "impossible" to run the veteran as well as Vettel and Ricciardo at Silverstone. "We're very keen to have a look at Daniel as a prospect for next year," Horner confirmed to Sky Sports News. "Obviously there is a great deal of interest in the seat, but it's an opportunity to have a look at Daniel and for him to do some of our tyre-testing work in our RBR car. It's a great opportunity for him." Horner has previously identified Jean-Eric Vergne, Ricciardo and Raikkonen as the three candidates to replace the Porsche-bound Webber. But asked point-blank whether the battle for succession was now a straight fight between Raikkonen and Ricciardo, Horner acknowledged: "Essentially, probably." Along with his current Toro Rosso team-mate Vergne, Ricciardo has struggled for points over the last two seasons. Yet Horner suggested that the talent of both drivers had been disguised by the shortcomings of their Toro Rosso machinery. "You have to look at what these drivers have at their disposal and for sure both Jean-Eric and Daniel are very quick drivers, and we have an opportunity to take a closer look at Daniel which is why we have chosen to exercise that and get him in the car tomorrow," he remarked. Although the prospect of Ricciardo replacing countryman Webber in a Red Bull next season has gathered pace in recent weeks, former title winner Raikkonen still remains the favourite to join the team at the end of the year when his contract with Lotus expires. 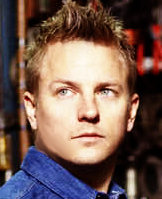 "Kimi's track record speaks for itself and he's a championship contender as we speak. We're in a fortunate position in that not only are we attracting fantastic drivers like Kimi but we've also got the opportunity to look at the drivers we have been nurturing in the likes of Daniel," added Horner. "We get paid based on where we are in the Constructors' Championship so therefore we want the fastest and best drivers we can get in the car. We'll take our time to make sure that whoever fills Mark's shoes - and they are big shoes to fill - is the right choice for the team." While all eyes will be on Ricciardo when he runs in the Red Bull on Thursday afternoon, Lotus have announced that Raikkonen has been dropped from their schedule after deciding that they would gain more from a non-race driver evaluating new parts on the E21 than using the Finn to test the new tyres Pirelli intend to introduce in Hungary. Christian Horner is keen to get Raikkonen and Ted Kravitz reports Bernie is also pushing to see the two paired together. However, Herr Marko â€“ who runs the teamâ€™s young driver programme â€“ is concerned it may be falling somewhat into disrepute. We saw the mysterious double sacking of both Toro Rosso drivers at the end of 2011, Robin Frijns turned down an offer to be a â€˜young bullâ€™ preferring Sauber and a Ferrari association. There are those who believe should the programme continue failing to deliver another top flight driver since Vettel is a matter for concern with the team owner â€“ Mateshitz. ...... reports Bernie is also pushing to see the two paired together. Why so surprised Ja wumi? He probably played a part in Schumacher coming back and Hamilton going to Mercedes. It's what people want to see, brings more money, it's business to him.